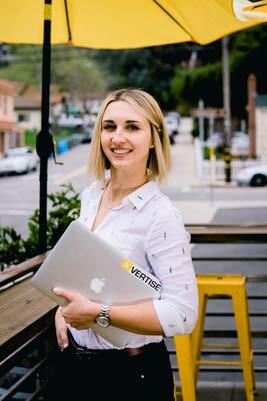 In 2014 Akvile launched AKvertise, Inc., a search and social advertising agency in Paso Robles, California. In 2014, DeFazio launched AKvertise, a search and social advertising agency in Paso Robles, California. As a conversion-driven marketer, she's passionate about helping businesses understand their customers and the path to decisions, and then creating a digital strategy to help reach their goals. Her expertise is in e-commerce, event marketing, mobile apps and lead generation, among other things. Most of her clients are midsized businesses, but she also works with enterprise-level and small businesses. My mom was a professional piano player and became a piano teacher. My father is a doctor who started his own practice. Watching them create their businesses was a powerful inspiration for me. Even with ups and downs, it was clearly very rewarding for them, which made a big impression on me. Akvile DeFazio, president, AKvertise, Inc.
Akvile discusses her challenges and personal growth associated with owning a business. Bing Ads is key to her strategy. “I always recommend that my clients jump into Bing Ads because of the great return on investment,” she shares. “I like that you can break Bing Ads down to small, bite-sized chunks for people who are afraid or hesitant. I tell them: ‘Let’s try it with a small budget, run it for a week or a few days and then we'll see the results.’ It works well, and then the client is comfortable investing in it.” To inspire them to try Bing Ads, DeFazio shares success stories about other clients. We don't live in a one-click, one-conversion world anymore. So potential customers will check you out online, then come back through different channels as they do their own research and eventually convert. Recently she launched a campaign for an e-commerce client by using Bing Shopping Campaigns. She hasn’t optimized it yet, but her client is already seeing a great return. “They're shocked at how little we spend and how much we earn in revenue,” she says. “They ask me to confirm the data's correct because it's that great. 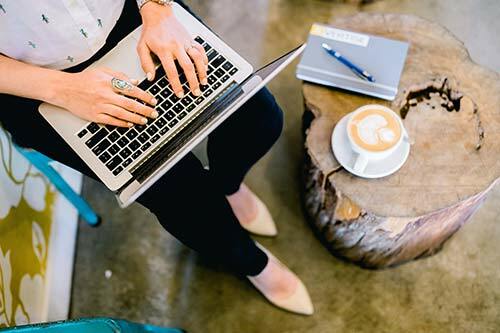 My clients are so delighted with the results that they’re eager to put more money behind it, launch more campaigns, and see what other Bing Ads initiatives we can do.” She has another client who’s getting 10 times its return on investment for the six consecutive months since she started working with the company. “It’s rewarding to see how excited they all are and how Bing Ads is truly helping them grow their businesses,” she shares. View or save the infographic to see how AKvertise used Bing Ads to help clients increase return on investment and reach their target audience.